Daniel Nunez Rodriguez, Product Lead for Instant Ads, an intraprenurial initiative at Telefónica Innovation, shares ten key facts about digital marketing campaigns, digging into the intricacies of how success is measured, where mobile fits in to the picture of how consumers are exposed to campaigns and some of the technical barriers and opportunities for creating a successful digital campaign. 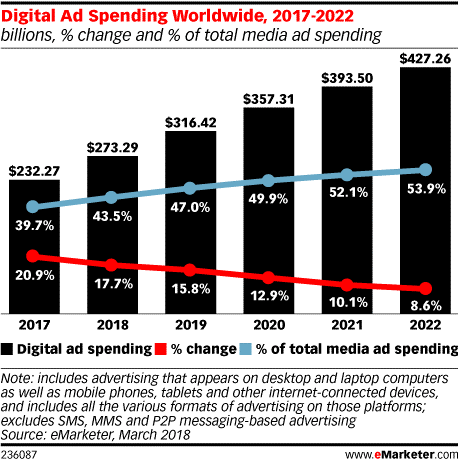 In 2017 Digital Advertising investment surpassed TV as the preferred media channel for marketers to pour their marketing dollars, accounting for $200B in total. Digital Advertising is also a healthy industry growing at a steady 20% YoY and projected to be a +$400B industry by 2022 according to research. 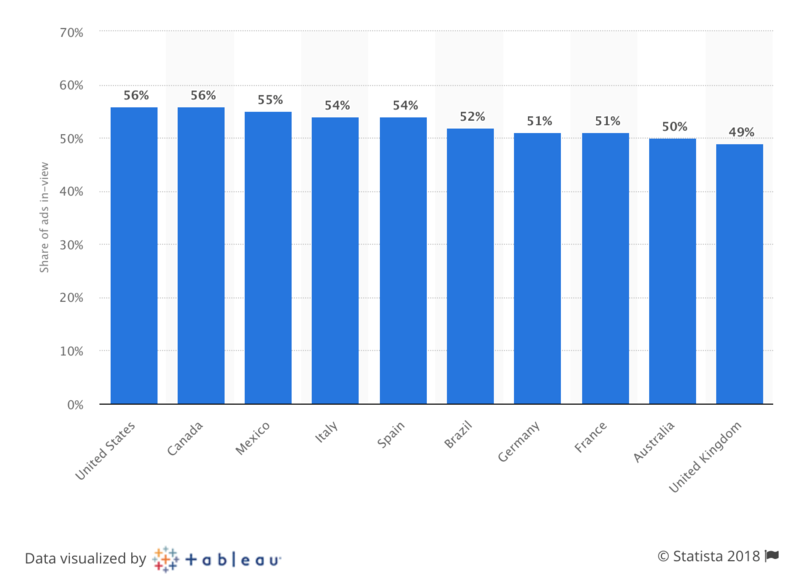 According to Mary Meeker’s 2018 report, 28% of the time we spent in media we spend it in mobile devices. In comparison, only 26% of the ad spending goes to mobile. This underinvestment creates a massive $7B opportunity for brands, media agencies and adtech companies to capitalize on under disputed user attention for new products and services to be promoted and drive business growth. Today’s user attention is hyper fragmented, and that makes it even harder for brands to reach and delight consumers. The most critical competitive advantage a company can have is user attention market share, and so does advertising. Fortunately, digital ads can be traced, measured and audited at such granularity level you can even go impression by impression. 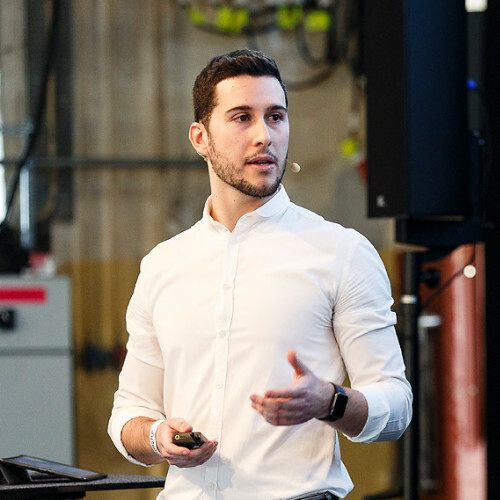 Advertising tech companies invest millions in refining their technological capabilities to provide better targeting data, sophisticated buying algorithms, creative design and storytelling optimization mechanisms and deepen analytics tools to keep ROAS in the greens. After analyzing thousands of websites, we have found out that the average website consumes about 1.9 MB the first time it loads and takes about 10.4 s to load on high speed wifi connectivity. But what about cellular performance? It takes almost double (20 s) to load the same average page on a 3G network. 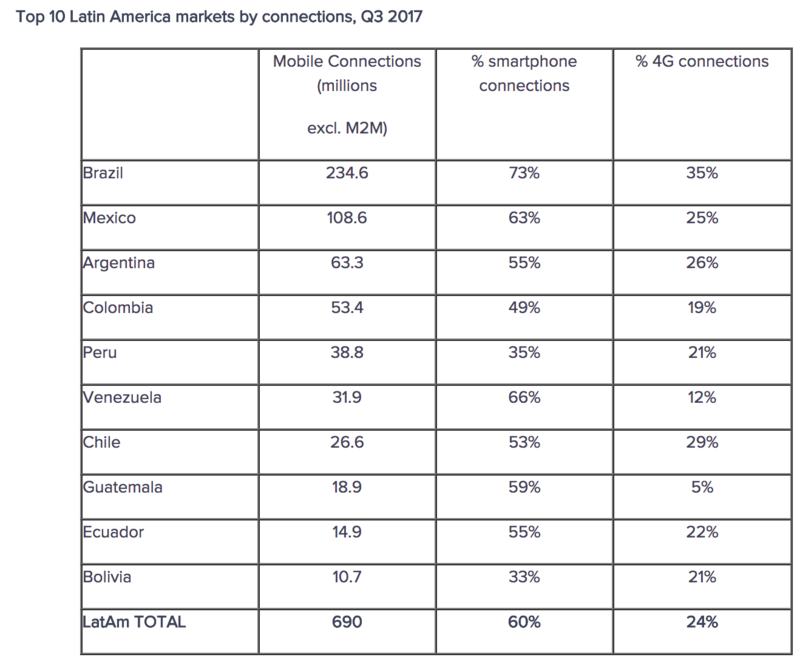 This is critical, especially in LATAM countries when smartphone connections top 60% as an average. We realised that our network at Telefónica also takes a big strain with up to 40% of HTTP requests by an average site belonging to ad-related calls and content.This has a direct effect on customer experience too. Consumers complain about watching too many ads and the latency-effect it generates on browsing experience, and as a result, adblocking grows. However, even if the theory is great, reality is cruder. 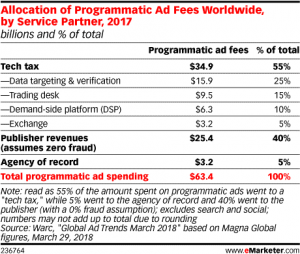 Cookies are far than perfect, universal IDs do not exist in walled gardens, independent technology is hard to find, the tech-tax is taking 55% of advertisers media budgets and bots and fraud also cost the industry billions. 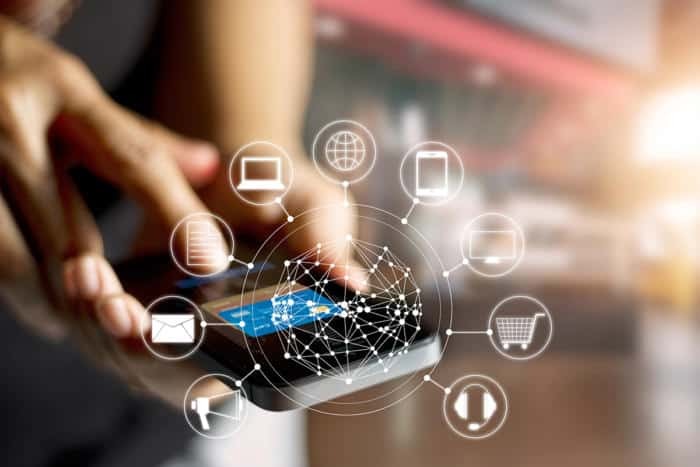 Brands and agencies allocate more capital, talent and investment into technology to operate in the complex crowded and fragmented ad ecosystem than in actual ads to put messages and stories in front of people’s eyes. According to research, 48% of the ads sold programmatically were never seen by users. In total, this massive figure represents a $36B waste problem. There is no way for a brand with sophisticated targeting capabilities, smartest bidding strategy, award-winning creative storytelling and world class brand safety mindset to truly make an impact on their target audience if half of the ads bought are never seen by consumers. According to MRC an ad is considered viewed when 50% of the pixels are in active view for at least 1 complete second. A video – however – is considered viewed when complying with the same factors above, but for at least 2 seconds. Now you probably understand why autoplay videos are favourites for publishers and hated by consumers. The market is suffering from consumer attention deficit and marketers and agencies celebrate when a display campaign scores above 0.06% in click rate, a poorly sign since that just accounts for 1 click after 1,700 ads. P&G is one of the leading advertisers demanding more transparency and higher viewability standards. 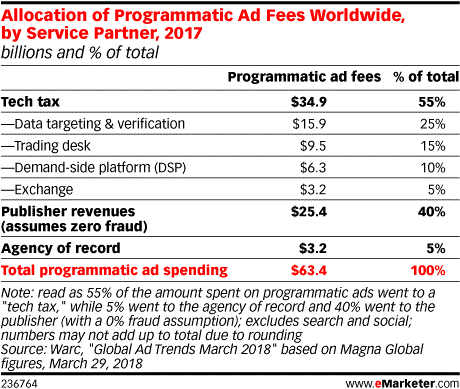 However, this is not a solo-battle, it must come from the industry value chain members to ensure a fraud-free environment and a framework for brands where ads are actually seen by users.